After several years of living together as a couple, popular artiste, Mr. Ragamuffin, Daniel Wilson got married to Yetunde, the mother of his 6-year-old son last Saturday amidst pomp and laughter. 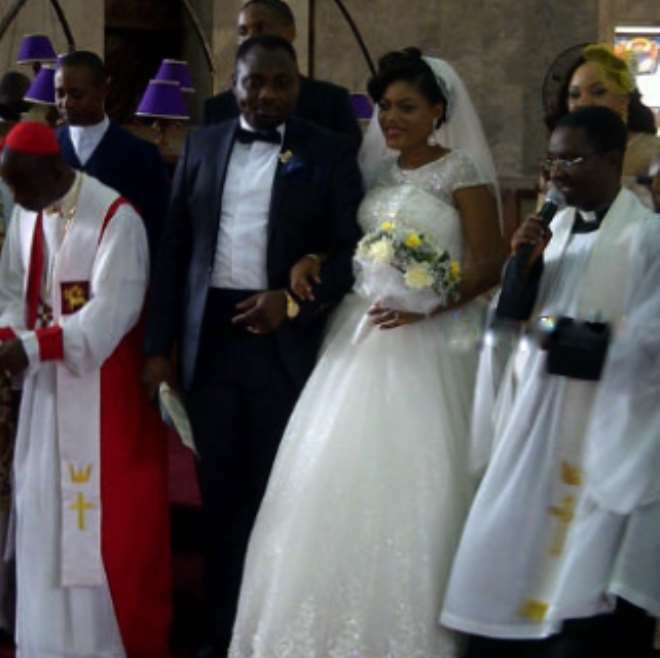 The wedding took place at the Archbishop Vinning Memorial Church in Ikea are of Lagos with friends and family of the two 'new couple' in attendance. Concern friends wondered why he took him that long before decided to marry her. Anyway, it was an impressive gathering.